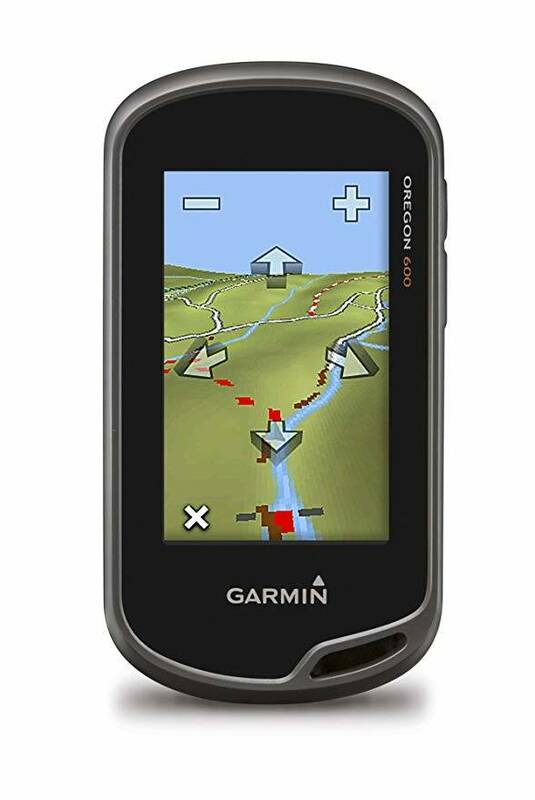 The Garmin Oregon 600 is among the most advanced handheld GPS units on the market today. Packed with a series of features that are hard to say no to, this model manages to combine all the useful capabilities a prospective buyer might ever be looking for. Furthermore, it can be purchased at a relatively affordable cost, and online shoppers can take advantage of online retailer’s sales and discounts and get it an even fairer price. The Garmin Oregon 600 features a glass screen that manages to remain bright regardless of the elements. The screen has been mineralized, which significantly contributes to its overall durability and ruggedness. Although the unit has a touchscreen, users may soon realize that they have the freedom to utilize it even with gloves. Sensitivity is a core characteristic of the display, as it responds to the user’s commands in a timely fashion. The size of the display is 3 inches and the resolution is 240 by 400 pixels. Judging by the reviews it has gathered over time, the resolution of this model seems to be quite an upgrade compared to the other units in the Oregon series. Buyers have two possibilities when it comes to powering the GPS. They may choose to use standard AA batteries or purchase a Garmin battery pack. While in older models from the series the rechargeable battery pack was offered with the unit, the same does not apply for the Garmin Oregon 600. The advantage of using this alternative is that it can be recharged via an AC adaptor or a USB cable, without the user having to remove the batteries. Both the buttons and the interface of the Garmin Oregon 600 make it one of the easiest hunting GPS devices we’ve come across. There are two buttons on the side of the product, which can be configured according to the buyer’s needs and preferences. The top button should be held in order to turn on the device. The lower button can be used for selecting one of the following three options: hold, single, and double tap). The interface makes the GPS very easy to operate, considering that it features a customizable main menu and application drawer, a variety of shortcuts, and both landscape and portrait orientation. The adjustments performed on the menu are comfortable and versatile, somewhat resembling the ones you might feel tempted to do on your smartphone menu. The same goes for the shortcuts, which can be created for anything from apps to settings. All of these settings can be placed on the main menu, thus allowing users to access the capabilities much faster. The Garmin Oregon 600 can work in portrait and landscape orientation, and can do so automatically or as instructed by the user. 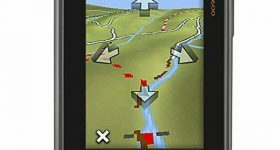 Other features of the interface include automatic compass calibration, total ascent on the map screen, tabbed menus, and four million geocaches. Judging by the customer reviews it has acquired in the past, the model takes the cake when it comes to performance. It works well and can be booted very fast, which also occurs even when the user has loaded waypoints, geocaches, and tracks. There have been some minor issues reported by several buyers, who claim that scrolling through a long list of waypoints or data fields makes it a little difficult for the GPS to redraw the screen. However, even the users who have run into this problem claim that it pays off to use the Garmin Oregon 600 and that this issue is not a deal-breaker after all. Additionally, the performance of this device relates to the built-in 3-axis electronic compass with accelerometer. This model has a barometric altimeter that automatically tracks modifications in terms of pressure. On this account, the feature can be utilized by some buyers to determine the barometric pressure and keep tabs on weather changes. The Garmin Oregon 600 has a worldwide basemap, and the number of free apps that come with the device is downright breathtaking. Provided that the buyers utilize GGZ file types, they can load up to four million geocaches on this handheld GPS. This unit is a net improvement compared to older Garmin models that we’ve come across. It has been praised by many people who purchased it, who think that it’s well worth the price for the value it offers. Many of these individuals say that it is the perfect alternative for geocaching. In addition, it is a winner in regards to durability, as there have been users who have bought it back in 2013 and have used it ever since.